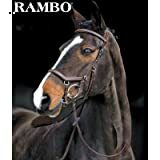 The Micklem bridle is designed for a horse that has a sensitive mouth. 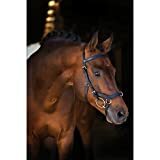 The Micklem bridle has a softly padded noseband, browband and crownpiece, which prevent uncomfortable pressure points on the horse's head. 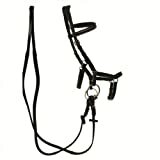 The Micklem bridle can be used for lunging, or riding.